Made in Poland with tve he highest accuracy and detail, warm and comfy FullPrint Sweatshirt. Perfect, classic and thanks to your imagination extremely original at the same time. 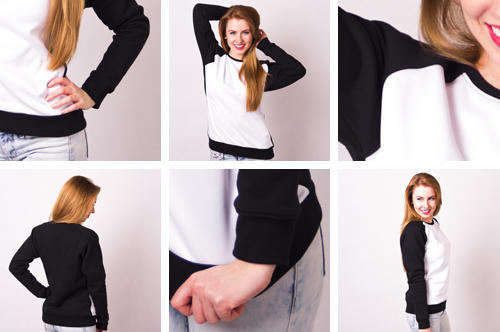 FullPrint Sweatshirt is made of modern material which combines durability of polyester and comfort of elasten. Thanks to it you can add your graphics on whole front panel of the product without losing any of your ideas. Sleeves and back panel are made of black, extremely pleasant cotton. Every piece of apparel is made in Poland and has the Trustworthy Fabrics Certificate of Polish Textile Institute.